Samsung develops gorgeous flagship mobile phones. Galaxy S8 and S9 are the best Android phones of 2017 and 2018. The S9 is fine-tuned from the already excellent phone S8 by improving the camera and adding a few extra features. Both have powerful processors, fashionable dual-curved display, excellent speakers especially the S9 which supports 360-degree Dolby Atmos tuned by AKG. No matter you use them for playing games or watching movies, listening to music, you will get great experience. So do you want to transfer your purchased or subscribed music to the mobile phone for listening? Unfortunately due to the DRM encryption, nowadays it is impossible to move digital media files as easy as as copying and pasting. The most common DRM files include M4V movie files, Apple Music, iTunes audiobooks, Spotify songs. As the most popular streaming music online, Spotify is beloved by over 170 million active users in the world. 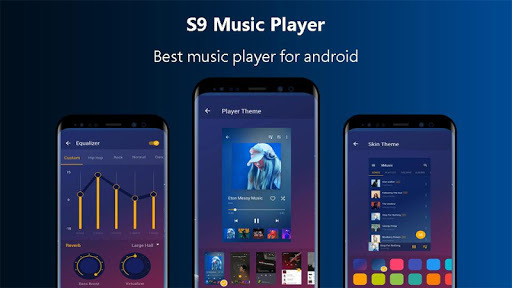 Here in the post I will take the chance to show you how to move and play Spotify music on Samsung Galaxy S8/S9. The Spotify app is only available on some countries and it may not be available if you travel around. Good news is that Spotify Premium users are allowed to download music for offline listening. If you are a new Spotify Premium user, you can simply setup the app to download the songs. Step 1. You can login the Spotify website on your Galaxy S9/S8 to install the program directly or you can go to the Google Play store. Step 2. When it is installed completely, you can double click the app to launch it and search the songs you want to listen to. Step 3. To cache the files, you just need to switch on the "Download" icon to the right of an album, playlist, podcasts, songs. Step 4. Your files will start to download. When it is done, you will see the "Downloaded symbol" finally. On the other hand, if you have already backed up your Spotify songs on your Windows/Mac computer, it is better to sync the music from your Mac/Windows to the Galaxy mobile phone. Step 1. Connect your Samsung Galaxy S9 to the computer via an USB cable. It should show up under the "Devices" tab on the Spotify of your computer. Step 2. Right click to select your phone and choose "Sync 'your device's name' with Spotify". Step 3. It will show you all the playlists from Spotify which are available for transferring. 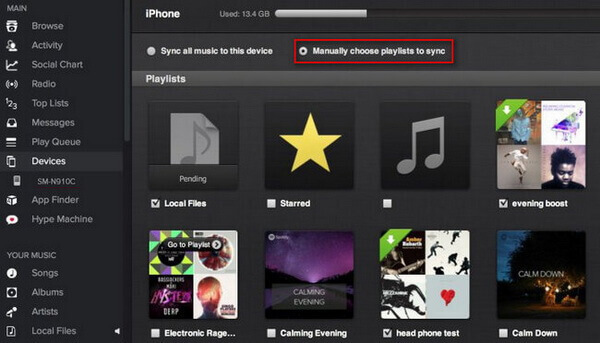 You can choose to sync all the songs automatically or select the special songs you like to transfer manually. Note: The above two ways require you to subscribe Spotify Premium membership to do that. If you only have a free account, then you will only be able to stream music online randomly. With the DRM protection, the songs are limited to play on Spotify app and you can't move them out of the Spotify's ecosystem. In addition, if unsubscribe the Premium subscription, the downloaded songs may miss from your library soon. Is there another way to backup the songs on your Galaxy S9/S9 Plus so that to listen on the Samsung Music Player freely? Of course. 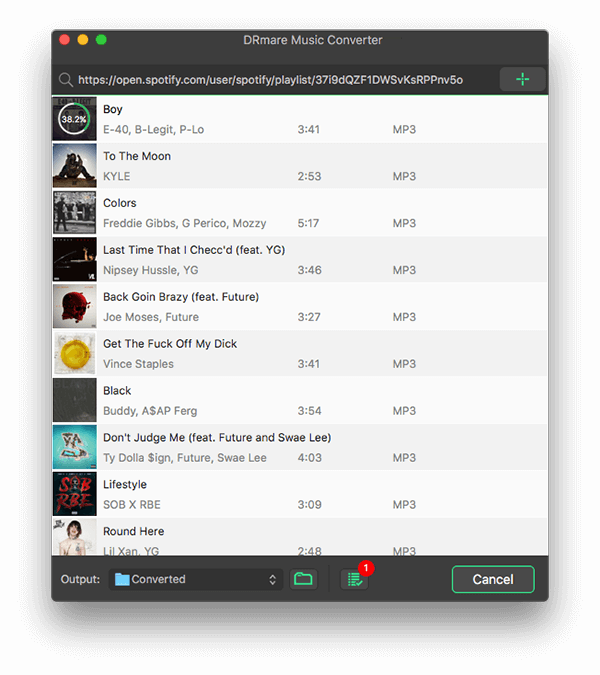 DRmare Spotify to Galaxy S9 for Mac/Windows is specially designed for liberating you from the shackles of the Spotify DRM protection. 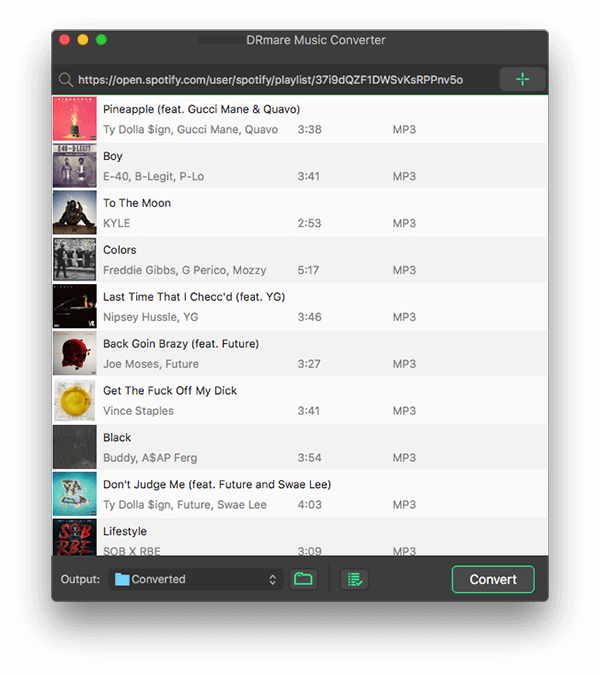 It has the features to convert Spotify songs to common audio files such as MP3, M4A, M4B, AAC, FLAC and so on. 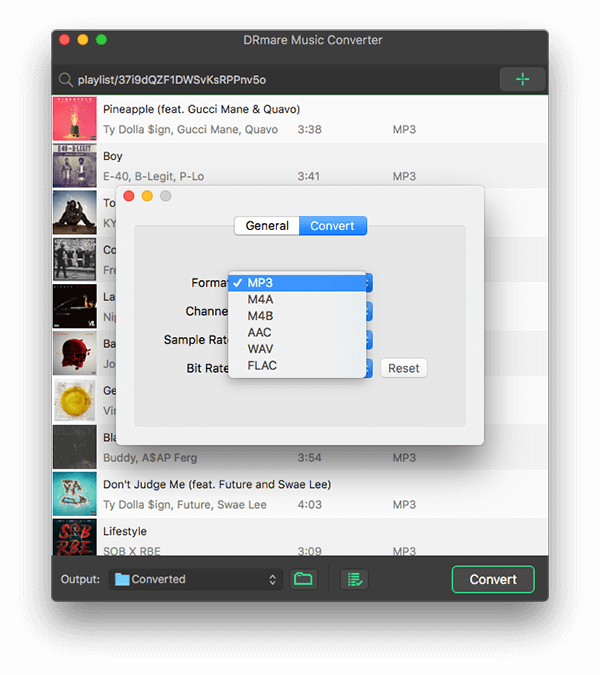 After converting, you can transfer the phone to any MP3 player, mobile devices, SD card, USB disk by copying and pasting. The operating steps are so easy. Now let's hands on to find out how does it work to add Spotify music playlists to Galaxy S9 step by step. You can do it on either a Windows PC or a Mac computer. 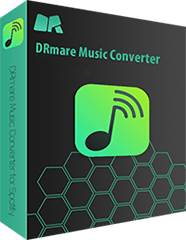 The easiest way is to drag & drop the curated files from the Spotify to the DRmare converter screen, it will understand what files you want to convert and import them to the software working area. Besides, you can also copy and paste the link of the songs and then press "+". You can select either output format you want, but we'd recommend you to choose "MP3" for the Samsung music app as it has best compatibility and satisfactory audio quality. Besides that, you can also customize the channel, sample rate, bit rate. After pressing "Convert" button, the DRM protection of your Spotify playlists will start to be removed. In addition, the DRM free song will be saved to default output folder of your computer. 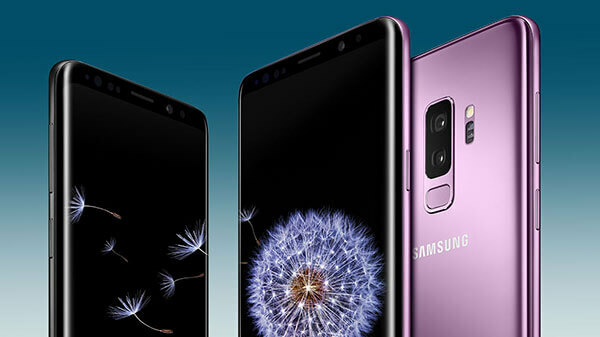 You can connect your Galaxy phone to the computer via USB cable, then you can copy and paste the converted audio files from your Mac/Windows the Galaxy S9/S9 Plus. In the end, you can launch the music app to choose the files you want to play.